For Domestic Operators, please email us and we shall assist you find the optimal solution for your business. No Carrier has global reach to invest everywhere around the globe on its own. Instead, Carriers must partner together to buy and sell network capacity with other providers – maintaining mutually beneficial partnerships while at the same time offering an enriched customer experience, thereby, exceeding their needs. 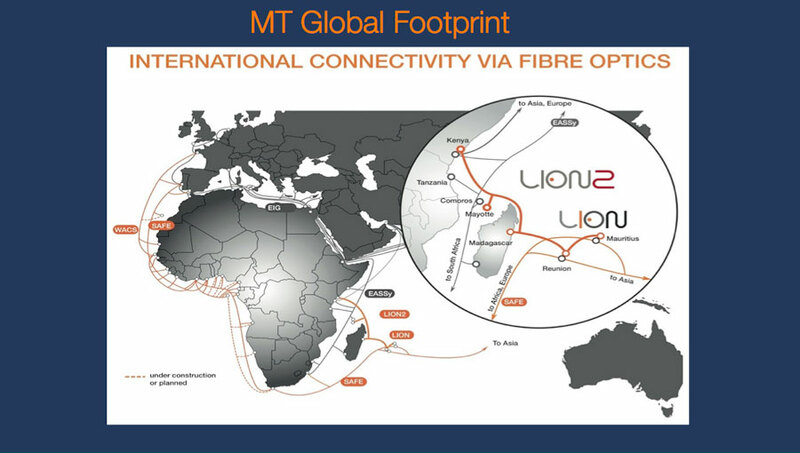 With its network capabilities based on its global and well diversified subsea cable networks Mauritius Telecom (MT) enables any global Carrier to grow their business with reliable coverage and tailored solutions. With large bandwidth capacity to its respective PoPs in London and Paris, Mauritius Telecom offers fully protected network capabilities bundled with high quality of service and excellent performance guaranteed by SLAs. We support international Operators to establish a full range of end-to-end data solutions as well as managed end-to-end WAN services (MPLS-based) to ensure that they can confidently deliver and exceed the expectations of their own customers. Bundled with its International Data Services, Mauritius Telecom also provides opportunities for any Global Carrier to host data servers of their customers in its Tier-4 Data Centre for Disaster Recovery and business Continuity requirements. Mauritius Telecom also caters for transit services based on its strategic location in this part of the world. Mauritius Telecom provides connectivity to destinations such as South Africa, Reunion Island, Madagascar, India, Malaysia and other South East Asian countries on a half-circuit basis. MT will install and coordinate one half of the circuit and local loop which will be combined with a second half circuit provided by another carrier for full end-to-end connectivity. 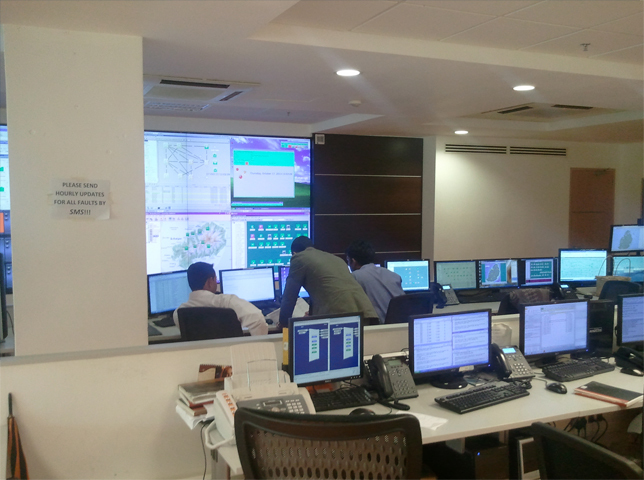 Mauritius Telecom can also offer a one-stop-shop service where we coordinate the installation of both Half Circuits and provide a complete end-to-end solution. 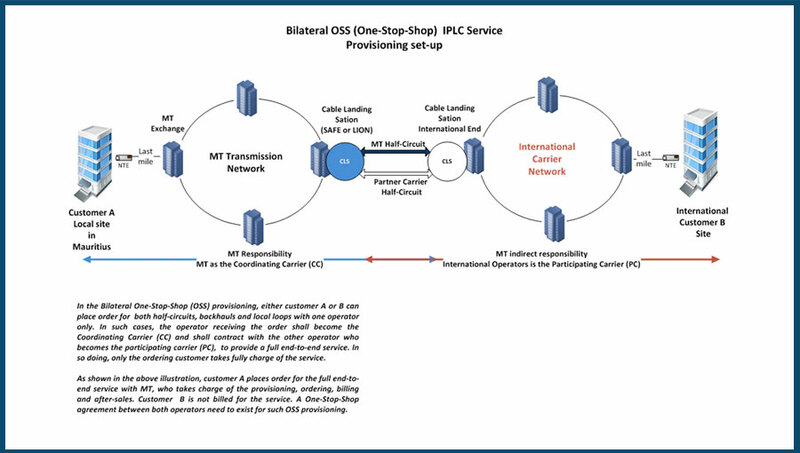 In addition of bilateral IPLC service provisioning on half-circuit basis, MT provides full-circuit IPLC capacity till its Point-of-Presence (PoP) based in Telehouse Jeuneurs in Paris. Onward connectivity to reach customer sites in Europe can be arranged through partner carriers. 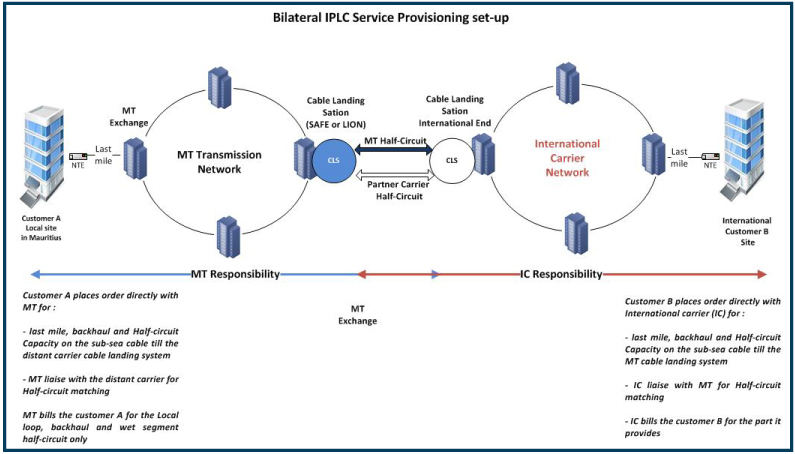 MT provides IPLC bandwidth ranging from 2 Mbps to STM-x. 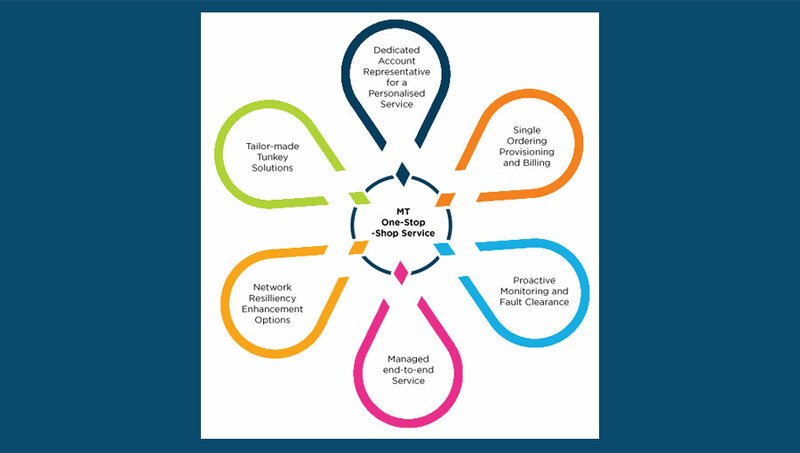 Mauritius Telecom is a member of the OSS/ICDS Forum, which sets guidelines for inter-operator best practice for delivery of Data Services on a one-stop-shop basis. Driven by the spirit of innovation, we are witnessing the transformation of our legacy voice network into an All-IP Network so as to provide a seamless fixed and mobile voice service to both our retail and wholesale customers. At Mauritius Telecom (MT), we think global; our connectivity is as diverse as our cultural heritage, with several direct links spanning the five continents, Africa, Europe, Asia, America and Australia. Our international routing diversity through cable and satellite, our ability to guarantee CLI delivery to mobile networks, and our ability to provide very high ASR (Answer-Seizure Ratio) and ACD (Average Call Duration) standards on our routes are some of the factors which make us a prime carrier in the Indian Ocean. As the leader in the telecommunication sector in Mauritius, MT, through its wholly owned subsidiary Cellplus Mobile Communications Ltd, is constantly investing in the next generation networks. We are committed to deliver the highest quality of Voice and Data Roaming services, with the best LTE network coverage in Mauritius and Rodrigues. Mauritius Telecom rates you as a privileged Mobile Partner. We look forward to expand our global footprint and to serve your customers with the best roaming experience in Mauritius. In line with the government policy to promote ICT as a major economic pillar, Mauritius Telecom has been successfully spearheading the expansion of the ICT/BPO sector through investments in its infrastructure, human resource and innovation. With over 700 ICT-BPO based enterprises, Mauritius has one of the richest technology ecosystems in Africa that thrives on innovation and collaboration across sectors. The industry which currently employs over 23,000 professionals is being increasingly leveraged as a value-added destination. Leading global companies have trusted Mauritius Telecom for its enabling business environment and excellent telecommunication facilities. Global players of the BPO industry have established their operations in Mauritius. MT is proud to service these leading brands for their operations. 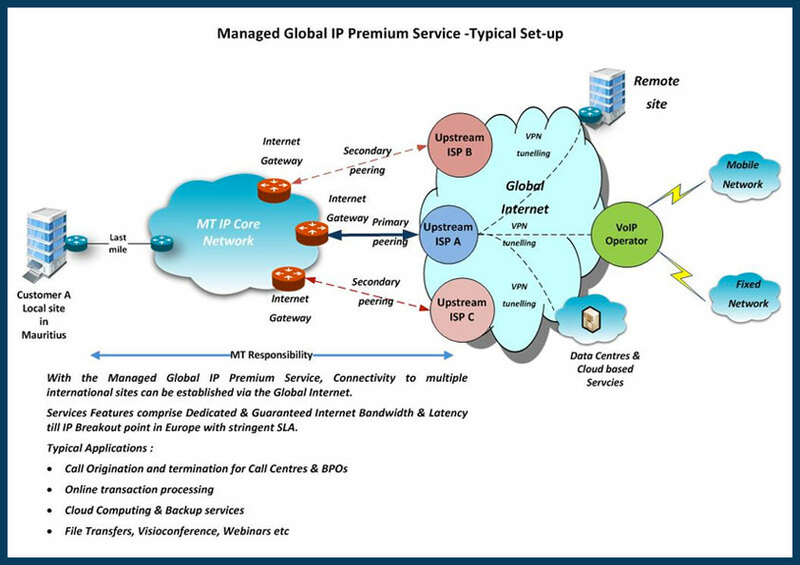 Mauritius Telecom’s Managed Global MPLS VPN Service is an international virtual private network solution based on IP/MPLS (Multiprotocol Label Switching) technology. This solution is designed to help global businesses enjoy the benefits of converged voice, video and data on a single network. 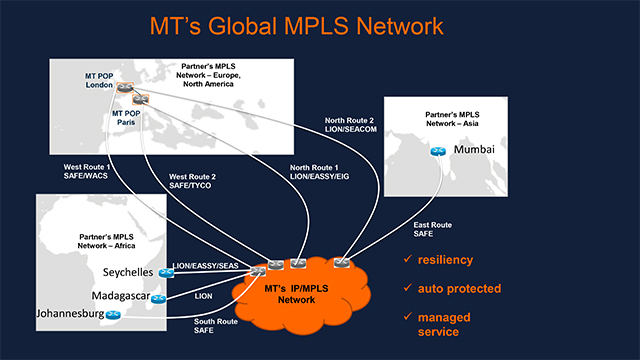 Our Global MPLS VPN service is built on resilient network architecture. 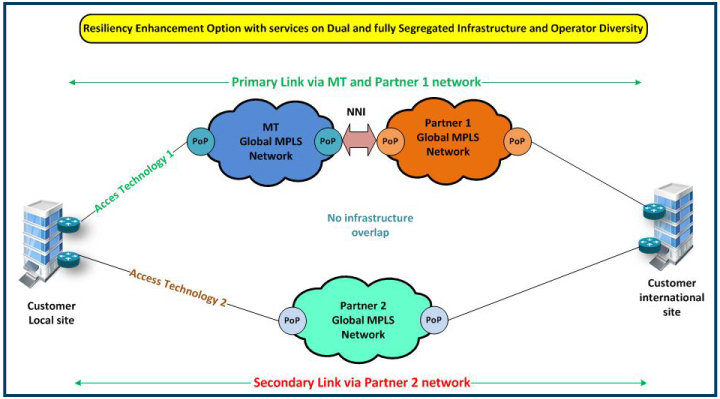 Interconnection with global MPLS Partners at MT’s Points of Presence (PoP) in Telehouse 1, Paris and Telehouse West, London. MT has extended its footprint worldwide by partnering with leading MPLS Providers in Asia, Africa and the Indian Ocean. For many customers, the best resiliency option is to have completely redundant services with multiple vendors and distinct carriers. 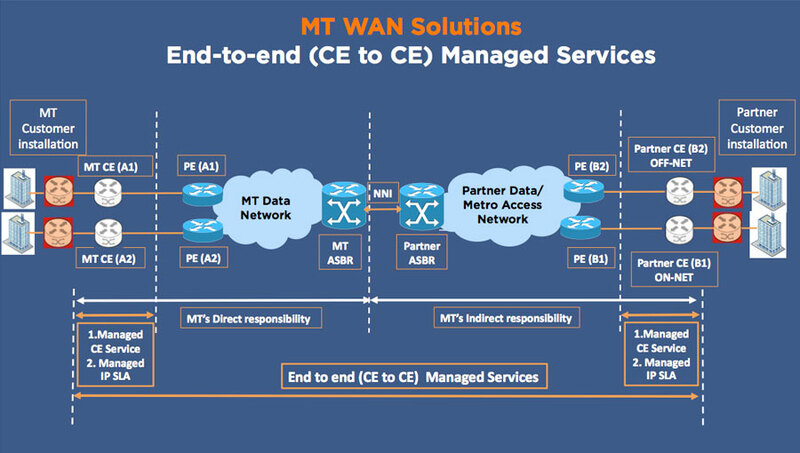 At MT we have taken on board such exigencies and we can propose along with our services other carrier solutions with no overlapping of network infrastructure, technologies and equipment.